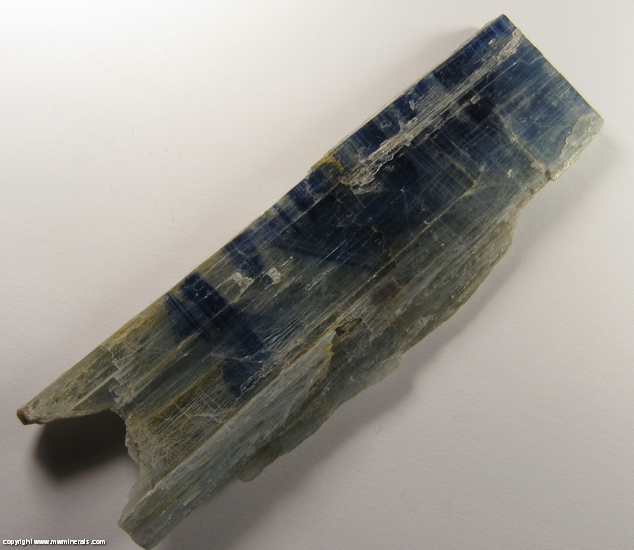 $75 Click here to order this mineral. 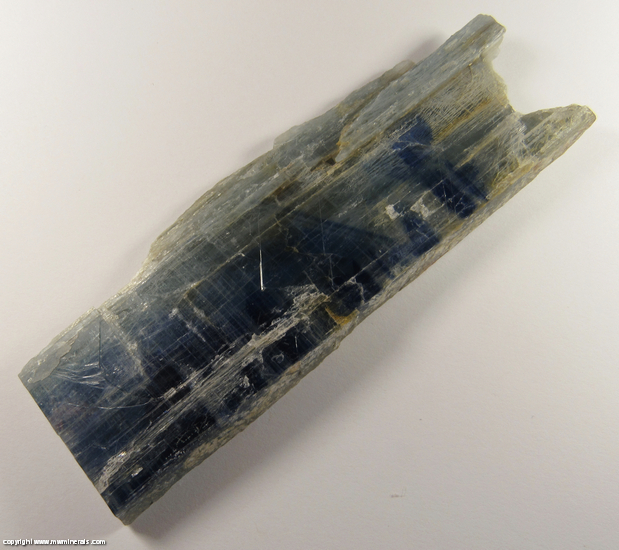 This Kyanite crystal is varied in color with interesting patterns of an attractive, deep blue color. 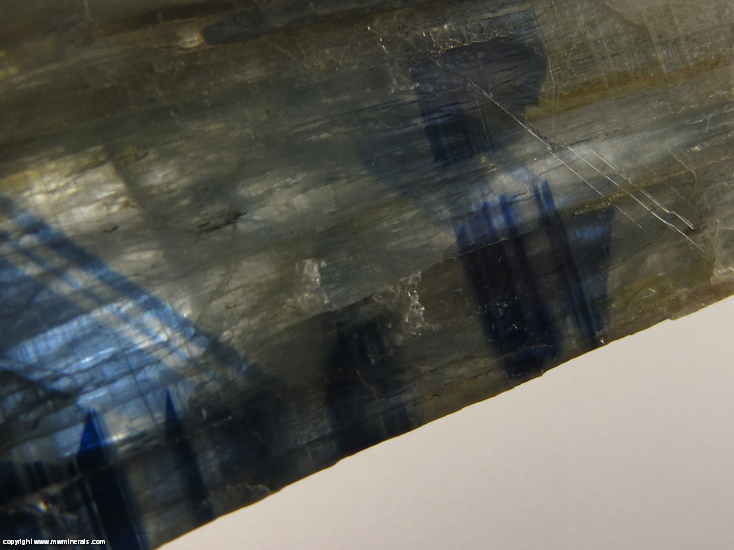 These patterns are present on one side of the specimen and extend only a couple of millimeters below the surface. 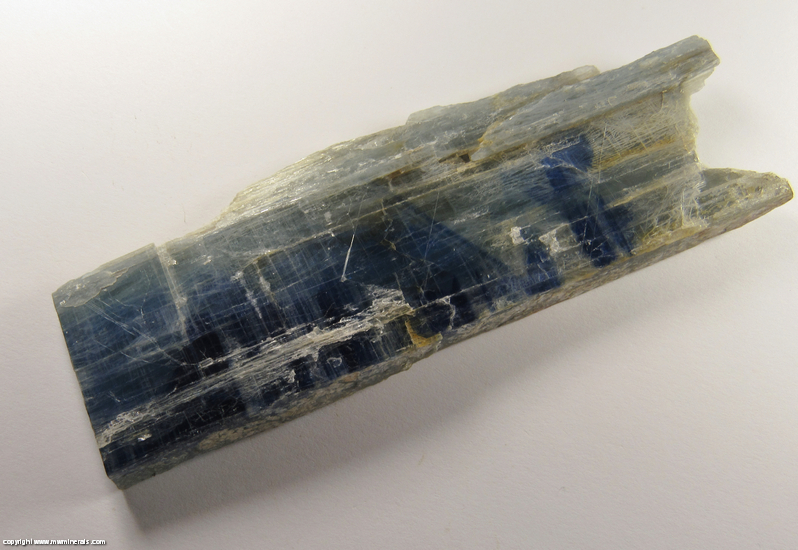 The patterns are quite different than usually seen in Kyanite being perpendicular or at an angle from the C axis. 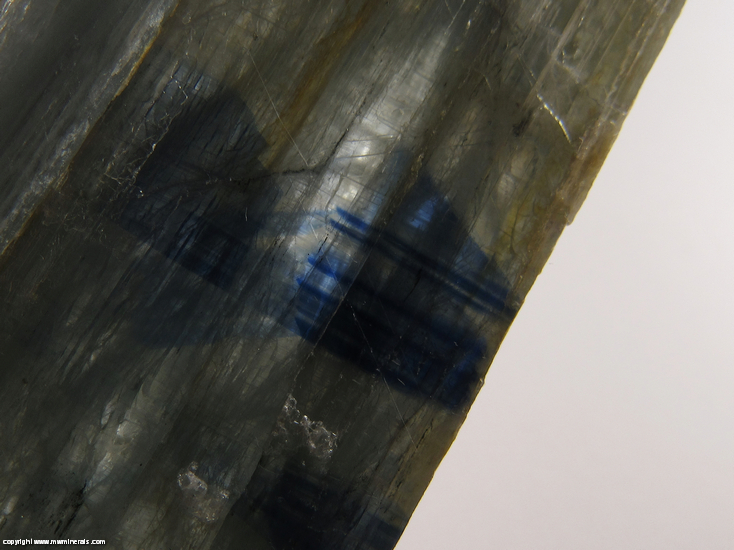 This is quite different from the usual coloration seen in Kyanite where the darker blue color tends to run the length of the crystal. 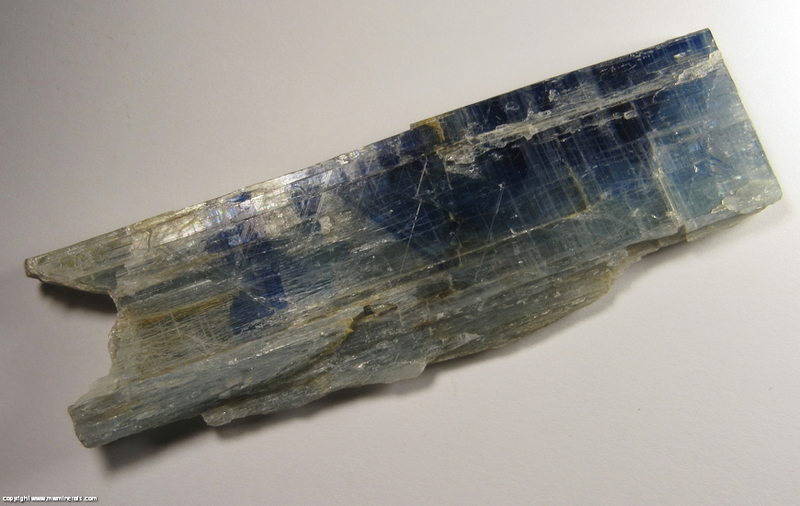 The crystal is fairly gemmy on areas but not transparent. 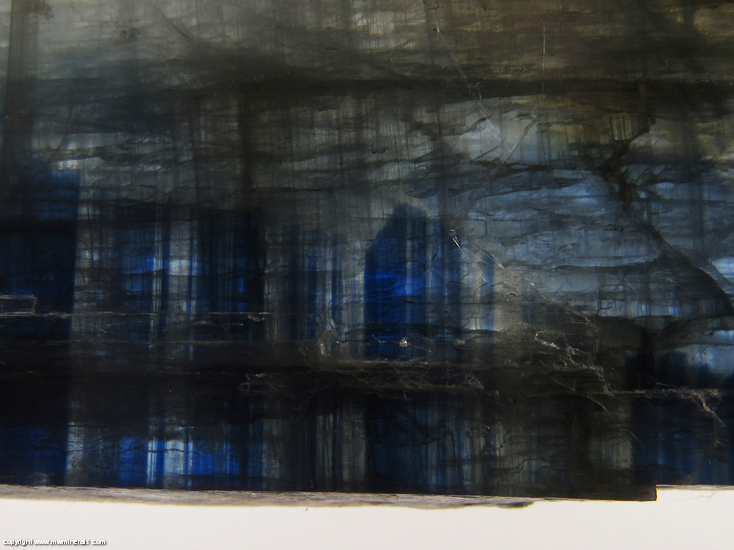 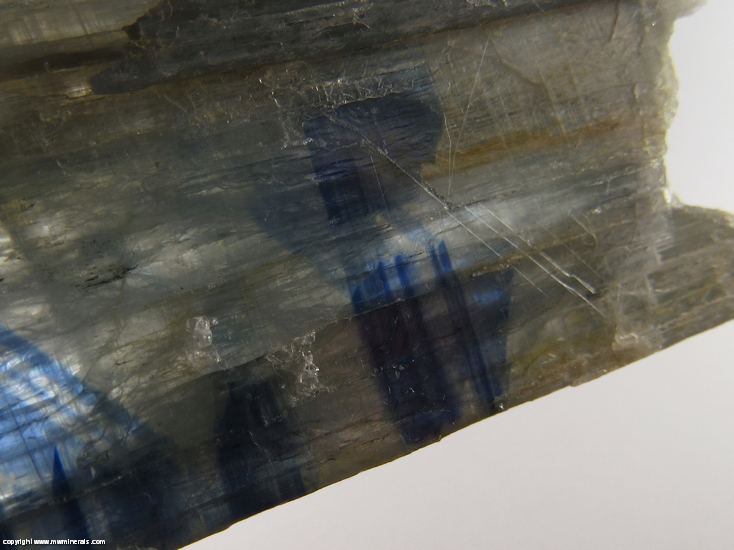 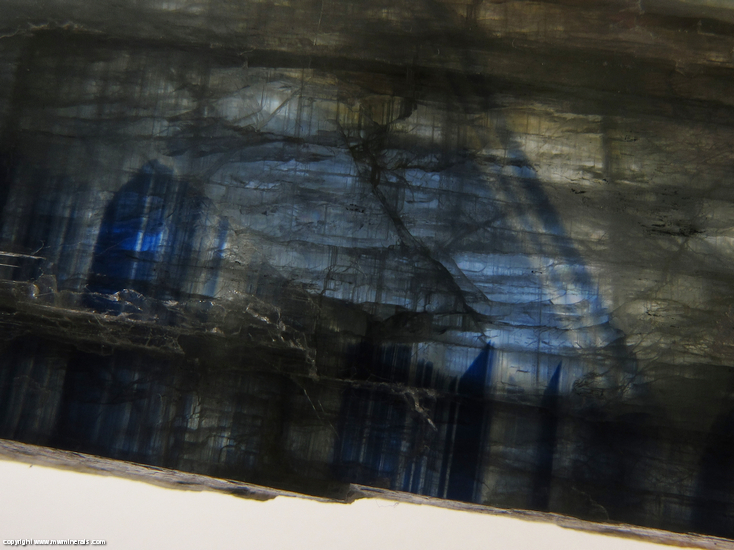 The surface of the specimen has a high, glassy luster which is a great deal more than usually seen in Kyanite. 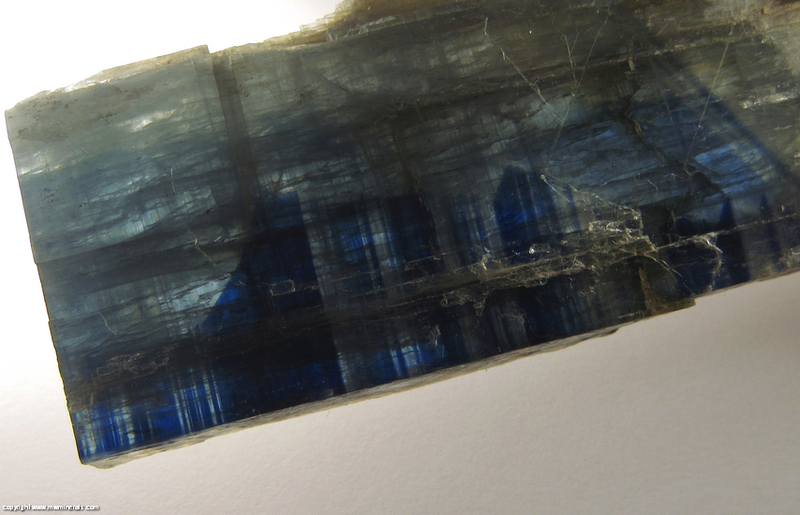 There is a catalog number on the back side of the specimen and the specimen appears to be an older one. 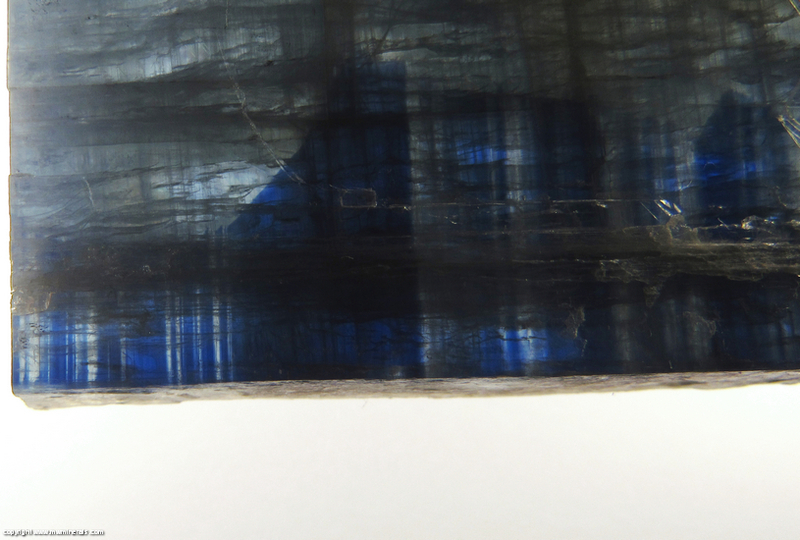 Flaws: There are some internal cleaves.